Tuna Tackle can range from heavy offshore gear to medium heavy spinning tackle depending on how you want to catch these incredible fish. Plugging and trolling are some of our most popular ways. Getting to see a 50+ pound fish slamming a popper it just doesn’t get much better!. 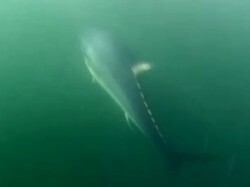 Fighting giant bluefin tuna on stand-up tackle is the toughest physical challenge an angler will ever face. No fish in the ocean pulls harder. 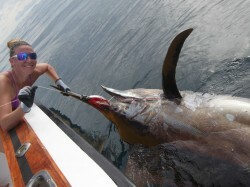 We have compiled comprehensive lists of recommended tuna tackle and fishing tips for all tuna fishing techniques below. Choosing the right tackle for tuna fishing can be very difficult. These are some of the toughest fighting fish in the ocean (especially giant bluefin tuna). 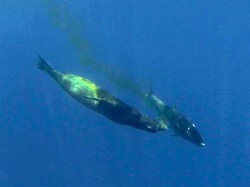 Be sure to check out the videos along with all the tuna tackle recommendations. The video playlist below contains a lot of clips! Scroll down to the bottom of the list to see shorter previews. The top of the list includes full-length features. It also includes an 1100lb+ giant tuna taken on stand-up and another 1100lb+ giant taken in less than 45 minutes (fighting chair) by Steve Palmo. 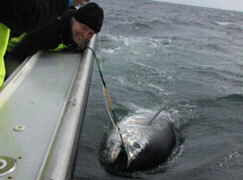 it also includes the yellowfin tuna plugging guide and plenty of top water tuna action. Feel free to make comments and ask questions on these videos. CLICK HERE FOR FREE TUNA VIDEO CLIPS!